Home / Archive by category "Piano History"
The Greatest Showman hit theaters recently and with its solid box office numbers showed that the revival of the film musical is truly in force. Starring Hugh Jackman, this fictionalized musical focuses on the life of showman P.T. Barnum. The film is a great callback to classical films while still feeling current and ‘hip’. The film features a scene that although brief, has an interesting connection to the history of the piano industry. In 1850, P.T. Barnum arranged for Swedish singer Jenny Lind to tour the United States. A desire to appeal to a more highbrow audience and help ‘class up’ his reputation was key in his drive for his latest production. His reputation up to that point had been as someone who promoted more ‘low brow’ entertainment. Initially agreeing to $1,000.00 for each performance (plus expenses), Barnum also agreed to pay Lind up front for the tour. This was entirely based on her reputation in Europe, as he had never heard her sing. Lind later negotiated a high compensation package after discovering the immense scale and popularity of the cross-country tour. One of the greatest marketers and promoters of his day, Barnum made Jenny Lind into a household name before she ever arrived in North America. In fact, most Americans had no idea who she was prior to the start of his breathtakingly huge marketing campaign. When she arrived in New York, tens of thousands of spectators gathered at the port to greet her. Although Barnum and Lind amicably parted ways part way through the scheduled tour, it ended up being a great financial success for all involved. Lind was able to raise copious amounts of money for her various charities and she continued to tour North America under who own management. She would later marry her pianist, Otto Goldschmidt. If there was one quality that marked the early days of Steinway & Sons, it was the family company’s inherent desire to invent, tweak and improve the quality of their pianos. This led to famous innovations and improvements to grand piano design that continues to be standard a century later. Almost all of the company’s patents were filed during these first years. The study of the lineage of the modern grand piano is a fascinating one, filled with stories of both success and failure. The ‘Teflon Era’ will forever remain an infamous time for Steinway & Sons, but one that forced the industry to adapt around new ideas and parts. During the early 1960s, work began on another project that company leadership hoped would again boost the company’s reputation as a world leading instrument. Continued pressure from less expensive yet high-quality pianos from Japanese makers like Yamaha and Kawai began to push Steinway from their position as the North American piano king. (This battle between the ‘east and the west’ wages on even today. ) A number of their major American competitors were either long gone or in decline. A document provided to Chupp’s Piano Service proves interesting. In a letter dated April 6th, 1979 to the late Ed Hendricks, a former Vice President of Marketing and owner of Hendricks’ Pianos in Chicago,…. Over the years, countless musicians have made the piano their primary musical instrument. Companies have fought tooth and nail to win the hearts (and wallets) of artists around the world. Today’s big players in the concert market include Steinway & Sons, Kawai, Yamaha and Fazioli continues to make inroads. Over the years, there have been many other companies who have made fine concert instruments that continue to be cherished by pianists. Click to view an infographic highlighting just a few of the artists who continue to make the piano come alive and learn what pianos they prefer to use on the concert stage. A fully restored, vintage Steinway & Sons, Mason & Hamlin or other fine make of grand piano offers a great value. Although the lower price tag, when compared to a brand new, one is a component of that, this value goes far deeper. During the height of the piano industry, craftsmanship in North American piano factories was at its peak. Hundreds of companies, thousands of pianos and countless man hours resulted in the refinement of the piano as a musical instrument. As the premier entertainment and luxury item available at that time, everyone just had to own a piano! Advancements in plate design, action geometry, rim pressing and more changes piled on top of each other. Out of the intensity of the ‘golden age’ of piano making came some of the finest instruments ever built. The piano has long been a striking combination between its function as a musical instrument and as a piece of visual art. This was especially true during the early ‘golden era’ of the piano manufacturing industry. Steinway & Sons was among the many companies battling for supremacy during these competitive years. 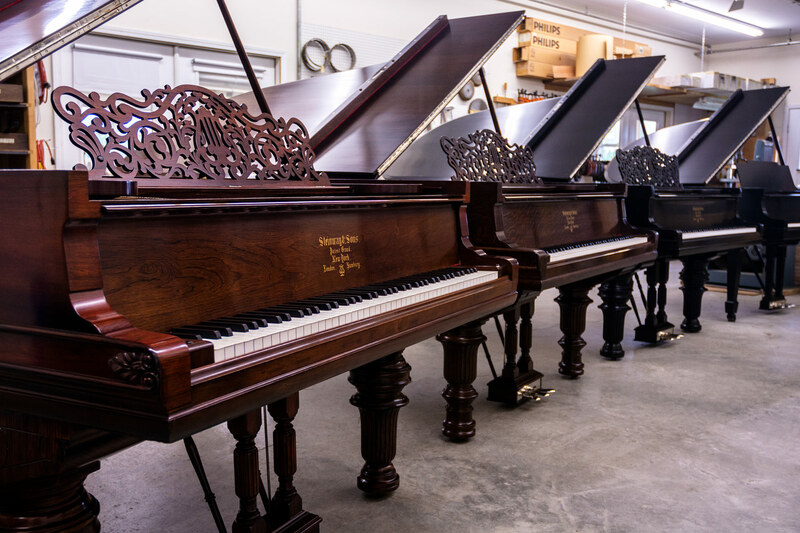 Experienced craftsmen combined with easy access to the finest woods and other materials resulted in some of the finest playing – and looking pianos ever crafted. Although today’s new Steinways are rarely seen outside of their ‘traditional’ more modern design, expert restoration work allows musicians and appreciators of fine art the chance to experience the characteristics that have made vintage art case pianos so treasured. Below are several videos we have produced highlighting the work of the craftsmen and technicians here at Chupp’s Piano Service, Inc.
Steinway & Sons Model A-3 Grand Piano #188826 – Quarter Sawn Oak, Sketch 380 Cabinet. 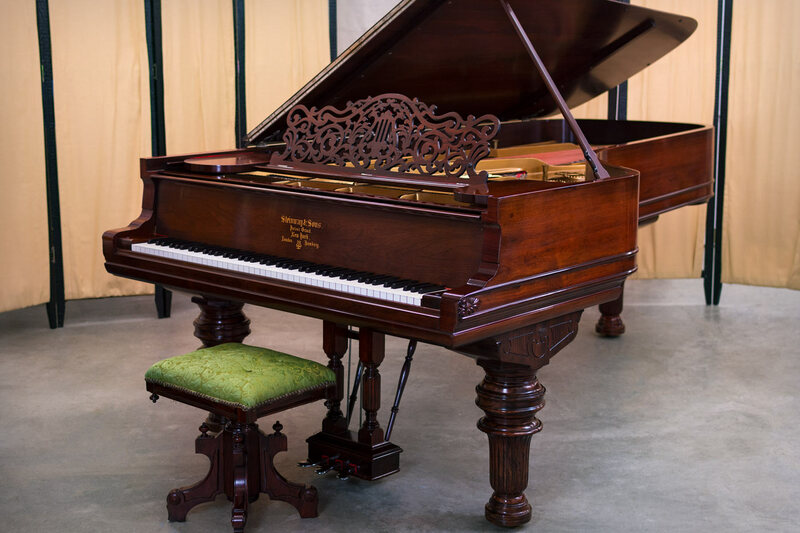 Covered in a beautiful Quarter Sawn Oak veneer, this rare Steinway was built in 1917. Fully rebuilt by us this piano features a new solid spruce soundboard, new hard rock maple pinblock, a fully rebuilt action and much more. Quarter Sawn Oak was rarely utilized on Steinway grand pianos. This instrument is currently featured at our Goshen, IN. Piano Showroom alongside a number of other ‘Crown Jewel’ style grand pianos. Why has Steinway & Sons Dominated the Concert Market? Although Steinway & Sons Concert Grand Pianos currently rule almost all of today’s concert stages throughout the world, it wasn’t always this way. Even today, competitors fight hard to place their pianos on performance stages. 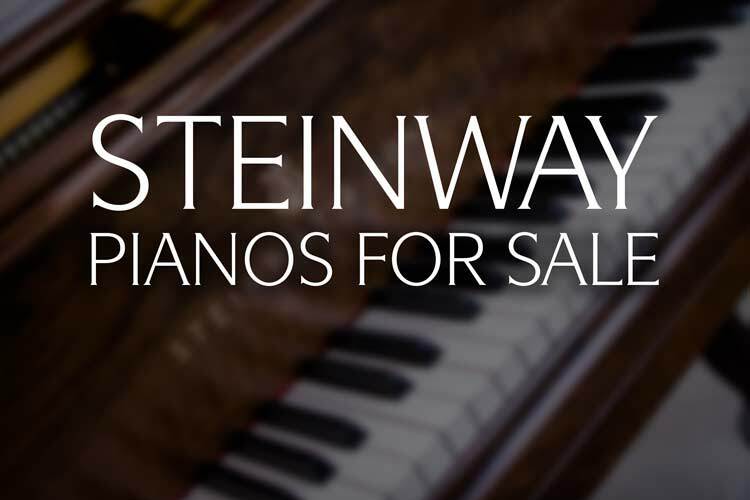 With over 90% of concert pianists performing today on Steinway pianos, it is easy to forget that this company was once a small upstart fighting for their position within the massive North American piano market. Steinway & Sons has mastered the art of marketing. That is not to say they have not or do not continue to make quality products. 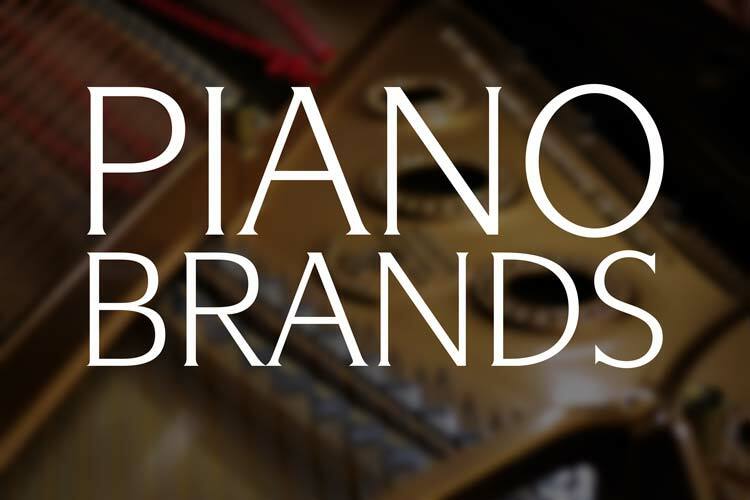 Rather, they were the piano company who mastered both the art of piano building and the cut-throat world of advertising. During their early history, there were numerous high-end piano makers all competing for the ever growing piano market. Names such as Chickering, Knabe, Weber, Mason & Hamlin and Steinway were in an ever ongoing battle to become THE best in the industry. William Steinway, Henry E. Steinway’s son gets much of the credit for Steinway & Sons’ business and marketing prowess. Having high caliber pianists choose your piano over others was seen as being highly prestigious and influential. Thus, the Steinway Artists program was birthed coupled with the company’s bank of concert instruments. While digging through some old paperwork, we found an old Mason & Hamlin product brochure from their days as a division of Aeolian in East Rochester, New York. Mason & Hamlin remains as one of the only ‘golden era’ piano makers still in business today. 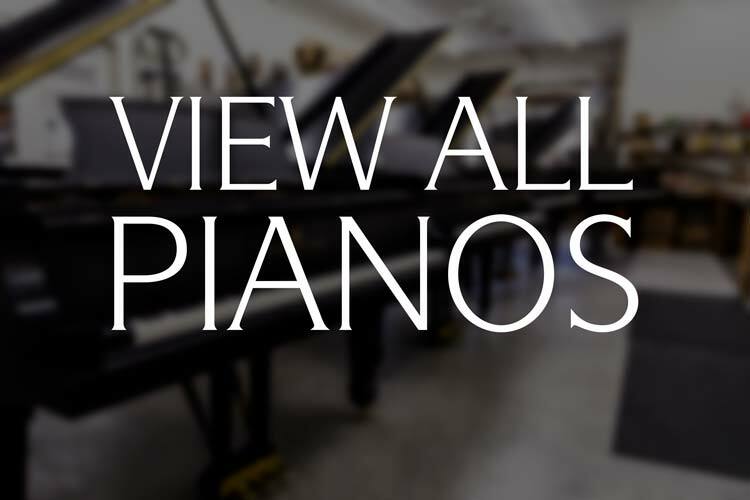 Along with Steinway & Sons, they represent the very finest in American piano craftsmanship. Below is a scan of the front cover. 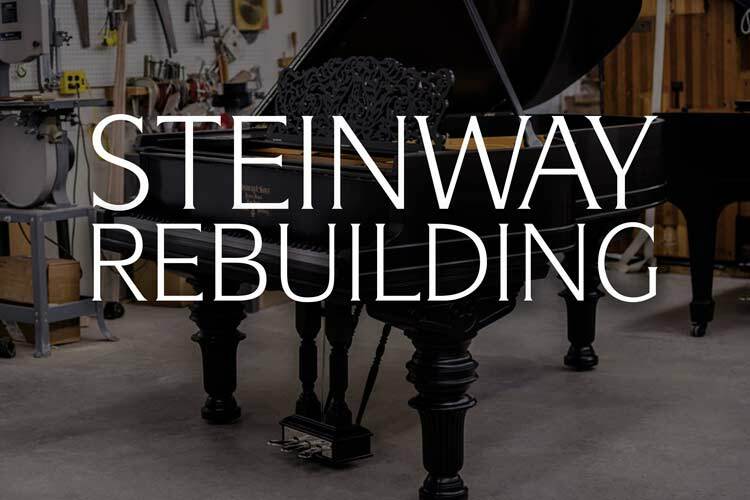 There’s an old saying, “If these walls could talk, they’d tell you a story or two.” A concert grand piano from Steinway & Sons will last for generations and over time they accumulate a rich and beautiful history. As one of the greatest piano manufacturers in the world, Steinway pianos are used in venues and by musicians across the globe. Over time, these pianos will see their fair share of usage, and pass through many hands. 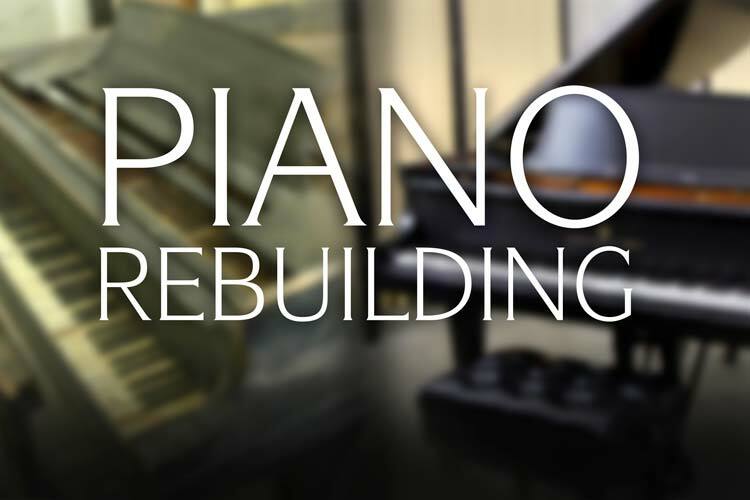 At Chupp’s Piano Service, we specialize in restoring these beautiful pianos back to playing perfection, and today, we want to shine a little spotlight on a beautiful piano that we are proud to feature – Steinway Model D Grand Piano #52626. In 1884, a major step forward occurred in the development of the mature concert grand piano- the Model D. The then new Model D was designed and created by incredibly talented craftsman C.F. Theodore Steinway. This new design was the first Steinway Grand to feature a double cupola plate. It featured a 20 note bass section, was overstrung, had a continuous soundboard bridge, and a bent rim case construction. These pianos featured agraffes from notes 1-35 and a capo d’astro bar from notes 36-88. Measuring 8’10” in length with 7 ¼ octaves, these pianos are an essential piece of the piano development puzzle. “Style D has an entirely new interior construction with double cupola steel frame and continuous ring bridge. The improvement in power and sonority of tone is simply marvelous.” – William Steinway, September 1, 1884. The golden era of piano manufacturing saw high quality and continued innovation become the standard within the industry. Over 300 piano manufacturers in the United States alone competed to craft the best pianos possible. One of the most unique and well designed instruments during this period was the Steinway Model A-3 Grand Piano. These 6′ 4 1/2″ grand pianos are some of the finest pianos ever produced by the Steinway & Sons Company. Steinway Model A3 #188826 was built in 1917, during the peak of the company’s golden era. This particular instrument is special not just for its amazingly well crafted scale design but for its rare cabinet woodwork as well. This piano features a very rare and unique quarter sawn oak cabinet. Used extensively in the past it is more labor intensive and expensive to produced. It is quite rare to find Steinway grand pianos with this desirable grain pattern. The Steinway Model A-3 has long been a favorite scale design of piano technicians and professional musicians. Discontinued in 1945 due to the competition it created for the larger and pricier Steinway Model B, the Model A-3 is a rare instrument well deserving of the respect it receives. The Model A-3 has become one of our favorite Steinway scale designs and we are proud to feature several of these vintage instruments in our facilities today. The Steinway Model B measures 6’11” in length while the Model D is 8’11”. But what about the piano that comes in between these two? The Steinway & Sons Model C Semi-Concert Grand Piano is an instrument that is often forgotten about – at least by some of us here in North America. Here is a quick history of the lineage of the Semi-Concert Model C.
The 7’2” Steinway and Sons Model C was first manufactured in 1878 with Steinway #38675 being the first in the series to be completed on 8/24/1878. These seven-octave, 85-note pianos were based upon the earlier Parlor Grands built by Steinway. The Model C, 85-note piano was also known as the Style 3 in catalogues. The scale design featured a 21 note bass section and was redesigned from the earlier parlor grand piano by C.F. Theodore Steinway. The Model C was introduced during a time of advancement for the Steinway Company. The early Model C was first produced with a sectional case design, and in 1880 production of Model Cs with a more modern style bent-rim case began. The 85-note Model C/Style 3 was in production until 1886. The tale of the Mason & Hamlin’s rise to the top of the piano world is an interesting piece of history, dating back to the mid 19th century. Now normally, the first name to come to mind when thinking of premium pianos is probably the venerable Steinway & Sons company. Steinway has long enjoyed a spot at the top of American piano manufacturers in both artists’ use and public opinion. However it would be very remiss to ignore the contributions and the ongoing history of another leading piano maker, Mason & Hamlin. Created one year after the founding of Steinway & Sons in 1854, Mason & Hamlin quickly asserted themselves as a company dedicated to handcrafted quality and today is one of only two fully operational piano manufacturers in the United States today (with the other being their longtime competitor, Steinway). The Steinway & Sons Model D grand piano is one which signifies an instrument’s grace, power, and delicacy unlike any other. Measuring at 8’11 3/4″ in length, the Model D towers above regular grand pianos, which are usually around 5’6” to 6’ long. Truly the pinnacle of Steinway’s historic dedication to innovation and top shelf craftsmanship, the thousand pound Model D-274 truly is the standard by which other concert pianos are judged against. Decades of craftsmanship and development, signified and represented by one instrument it has long been considered the first choice of concert pianists. Error: Error validating access token: Session has expired on Thursday, 10-Jan-19 19:00:02 PST. The current time is Wednesday, 24-Apr-19 23:03:58 PDT.